This is a pair of the high performance Dirt Bonz MAXX sized monster truck tires from HPI Racing in "S" compound. The unique bone-shaped tread blocks provide high grip, and the combination of a low profile angled sidewall, internal ribbing and stepped foam inserts help to prevent sidewall flex in hard corners for consistent traction. Dirt Bonz are 40% lighter than the stock Savage GT tires, reducing overall weight and critical rotational mass for quick acceleration and braking. 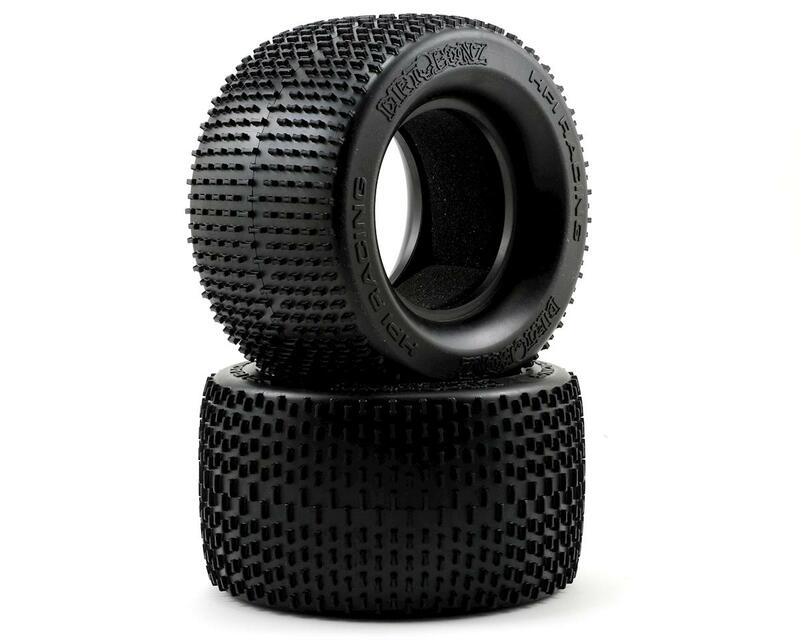 Designed to fit Savage and T-Maxx MAXX sized monster truck wheels, Dirt Bonz tires are recommended for racers and bashers looking for extra traction! 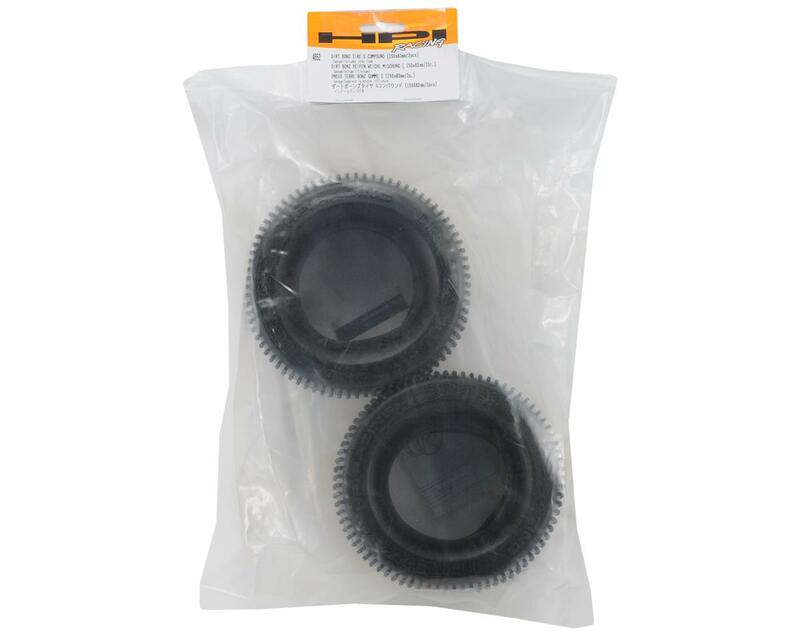 Packaged in pairs with preassembled foam inserts. Note: These will NOT work on 40 series rims! These are the easiest tires to glue and they're one of the best performing tires I have ran on a 1/8 monster truck. These came with my Savage SS 4.6 kit. They have massive amounts of grip, but if you like to power slide, or cut doughnuts you wont like these on your basher because they dont like to break loose at all. If you like pulling wheelies you will love them. I have read reviews that they dont wear well on pavement, but I have not had that problem. I guess the biggest downside is the sidewalls are a somewhat soft which hurts in cornering alittle.